Africa is an amazing continent that is distinctly unique among the seven continents. Africa is rich in cultural heritage and diversity, a wealth of natural resources, offers breathtaking tourist attractions, and contains some of the most intricate political systems. Explore this incredible continent with some of the most interesting facts about Africa. Africa is home to over 1 billion people who speak over 1,500 different languages. One in every four of the world’s language are spoken only in Africa. Africa’s total size is roughly 11.7 square miles, representing about a fifth of the earth’s total landmass. This makes it larger than India, China, Mexica, and USA’s and a huge chunk of Europe combined. During the early Mesozoic Era, Africa was attached to all the other continents to form one gigantic continental landmass called Pangea. Pangea later broke apart to form the world’s continents as we know them today. Despite Africa being the second-largest continent in the world, it has the shortest coastline. This is due to the many bays and edges that extend out of the coastline. Islam is the dominant religion in Africa. Christianity is the second. Arabic is also the most widely-spoken language in Africa. About 38% of all Christians are projected to be living in Sub-Saharan Africa (SSA) by 2050. Africa’s largest country is Sudan. It has a total area of 967,940 square miles (2.5 million km2). The smallest country on the continent is The Seychelles, which is an island nation covering just 453 km2 (175 miles2). The richest SSA country in terms of Gross National Income (GNI) per capita is Equatorial Guinea. This is 83 times higher than that of Zimbabwe which is the poorest in terms of GNI per capita. 21 percent of SSA nations have one or two products accounting for their total exports. Most of these exports are in form of agricultural produce. As of 2008, South Africa consumes the most electricity per person (4,759.5kW/h) in Africa. Ethiopia has the least consumption (42.3 kW/h). The shortest distance between Africa and Europe is only 8.9 miles (14.3 kilometers) of ocean. Africa’s Nile River is the world’s longest river. It has a total length of 6,650 kilometers (4,132 miles) and cuts across 11 countries. It drains into the Mediterranean Sea from Africa’s Northeastern edge. The largest lake in Africa is Lake Victoria. It is also the second-largest freshwater lake in the world, spanning 26,830 square miles. Africa’s Sahara desert is the world’s largest hot desert covering 9.1 million km2. 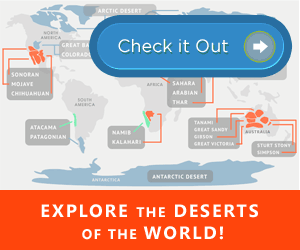 Of the deserts of the world, it is the third largest after the Arctic (second largest) and Antarctic (largest) deserts. The highest point in Africa is Mount Kilimanjaro in Tanzania. It rises 5895 meters (19,340 feet) above sea level. Both the world’s tallest and largest land animals both come from Africa. They are the giraffe and African elephant, respectively. The giraffe is already extinct in at least 7 African nations. The hippopotamus is Africa’s deadliest animal. It kills more people in Africa than do crocodiles and lions combined. Today, the San people, who reside in southern Africa, use the same tools as those found in a cave, which dates 44,000 years back. About 41 percent of children in Africa aged between 5-1 years are actively involved in child labor. In Africa, just like in Asia, people have to walk an average of 3.7 miles daily to fetch water for various uses. 39 percent of children under the age of five years in Burundi are underweight. Over 90 percent of all malaria cases reported worldwide come from Africa. Every year, 3,000 children die from the disease. In Swaziland, Africa, one in every four adults is HIV positive. To date, over 17 million people in SSA have succumbed to AIDS. Estimates put the current number of HIV infection in Africa at 25 million people. 16 countries in Africa record higher rates of vaccination than the U.S. alone. The Second Congo War, which began in 1998 and lasted until 2006, claimed the second-highest number of casualties (5.4 million lives), after World War II. The conflict involved eight African countries. According to the World Bank, Seychelles had a 92 percent women literacy rate in 2010. Chad’s equivalent was 13 percent while Niger’s was 15 percent. As of 2010, it took 216 days to complete each procedure required to start a business in Guinea-Bissau. In Rwanda, the same took only 3 days. Only 24 percent of SSA’s rural population has access to standard sanitation. This is in comparison to 42 percent of the urban population with access to the same. Tanzania, Africa, has the world’s highest Albinism rates. In the country, Albino are hunted by witchdoctors to use their organs for rituals believed to heal diseases. Witwatersrand, South Africa, produces almost half of all the gold mined in Africa. More people speak French in Africa than do those in France. A single tribe in Kenya-called the “Kalenjin”-produces most of the world’s fastest long-distance runners. Egypt is Africa’s most popular tourist destination. The country receives over 10 million visitors every year. Cairo, Egypt’s capital city, is also Africa’s largest city. Women from Africa’s Mursi tribe pierce their lips and wear plates as large are 5 inches in diameter, inside them (lips). Mainland Africa is home to two of Spain’s exclaves, Melilla and Ceuta. The national flag of Mozambique has the image of an AK-47 assault rifle embedded into it. It is the only national flag in the world featuring such a modern rifle. All of Africa’s nations were colonized by the Europeans except two: Ethiopia and Liberia. The former was an Orthodox Christian country, while the latter was established by African-American settlers from the United States, who previously served as slaves. Currently, Africa is united under a political organization known as the African Union (AU). The AU was established in 2001. Only one African country, Morocco, is not a member of the AU. Soccer and cricket are two of Africa’s most popular sports. They were both introduced during the colonial era. There are more than 100 million Facebook users in Africa. Sure, there are more facts about Africa! We wouldn’t even try to cover them all. There are so many others that we probably missed that are worth sharing. But, this is where you come in. Tell us about your favorite facts about Africa in the comments below!